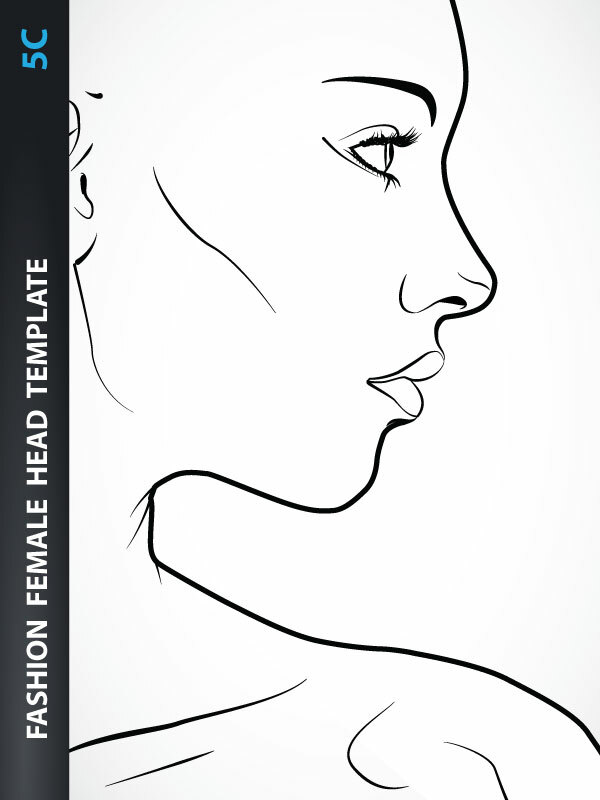 Jewelry design - Fashion Head Template for Fashion Hairstyle, Jewelry, Accessories (like hats, sunglasses, scarves,...) or Make-up Design, includes fashion female head template from the front view with all head details like eyes, nose, mouth, neck, ears,... 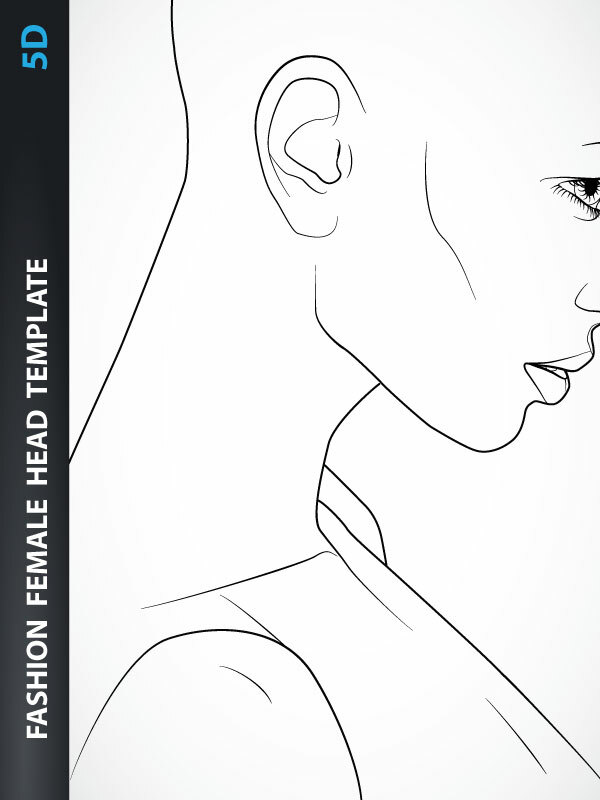 Fashion Head Template is created based on Close-Up Photographic Shot. Print-Ready. 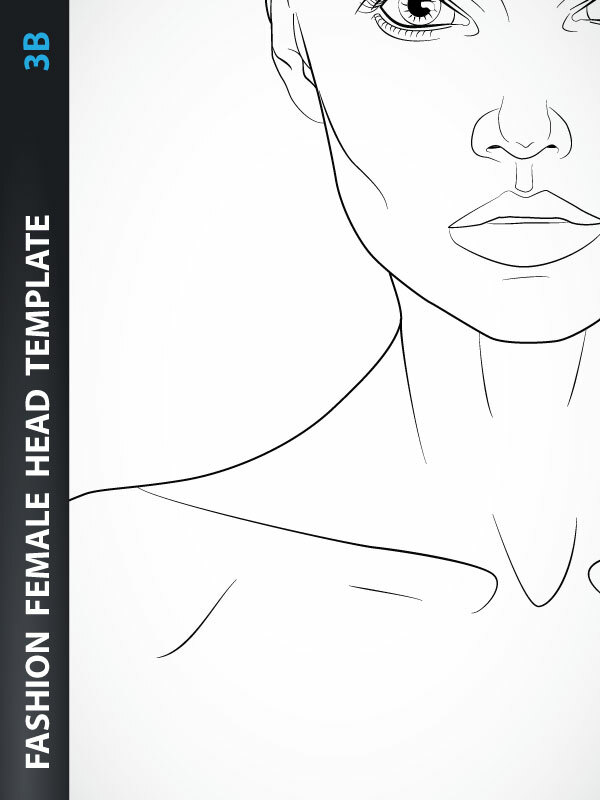 Hairstyle Drawing - Head Template for Fashion Hairstyle, Jewelry, Accessories (like hats, sunglasses, scarves,...) or Make-up Design, includes fashion female head template from the front with all head details like eyes, nose, mouth, neck, ears,... 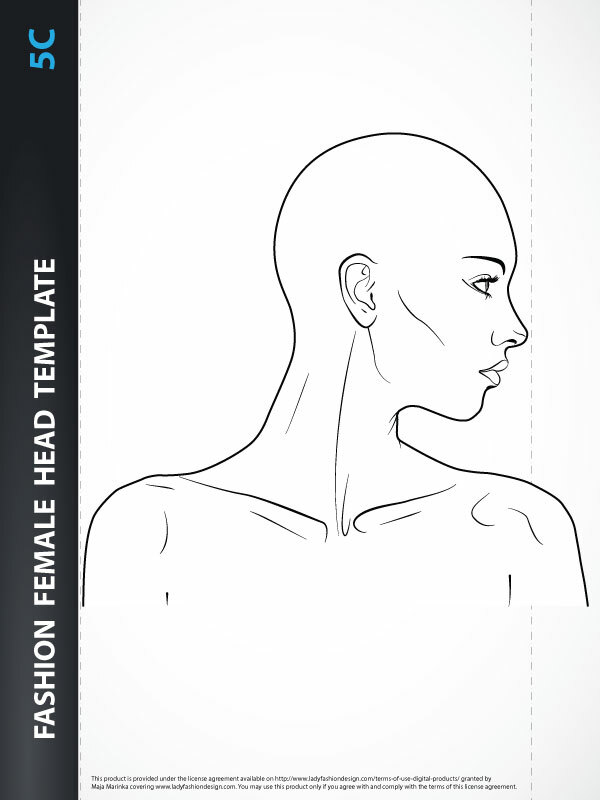 Fashion Female Head Template is created based on Close-Up Photographic Shot. Print-Ready. 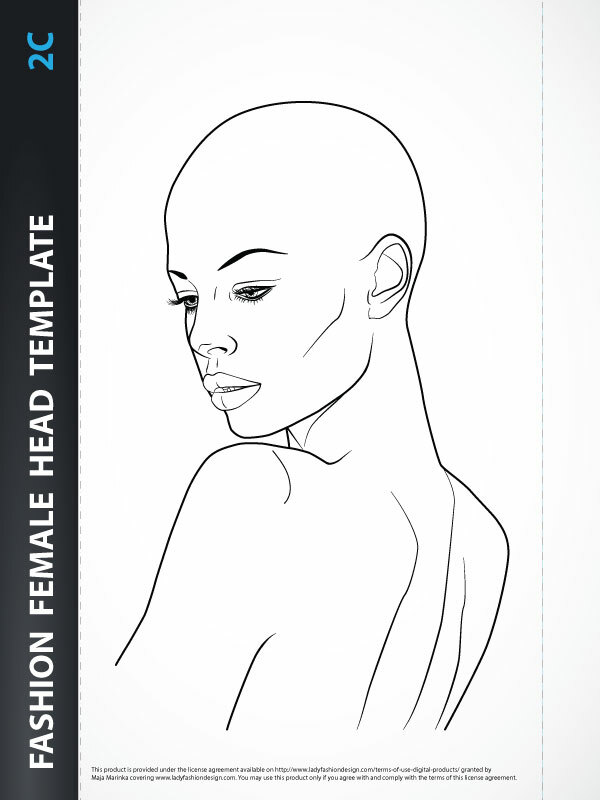 Hairstyle - Female Head Template for Fashion Hairstyle, Jewelry, Accessories (like hats, sunglasses, scarves,...) or Make-up Design, includes fashion female head template from the three-quarter side view with all head details like eyes, nose, mouth, neck, ears,... 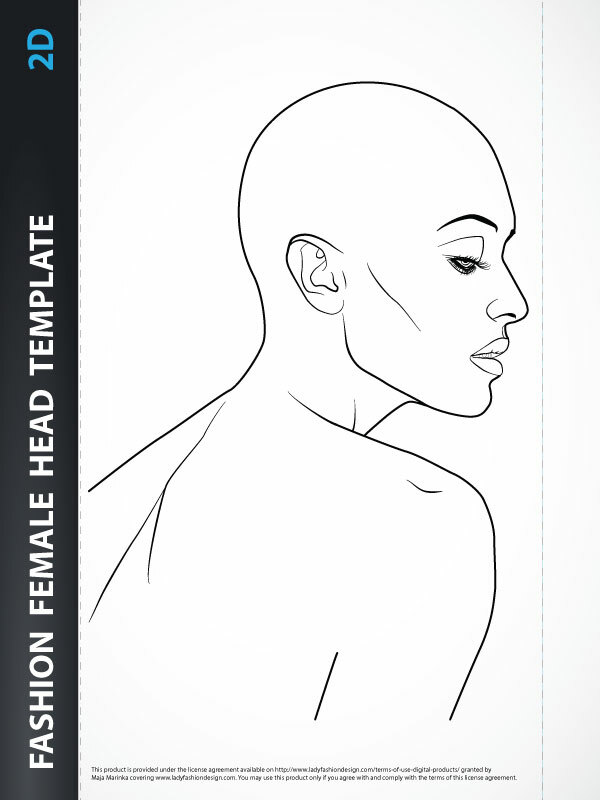 Female Head Template is created based on Close-Up Photographic Shot. Print-Ready. 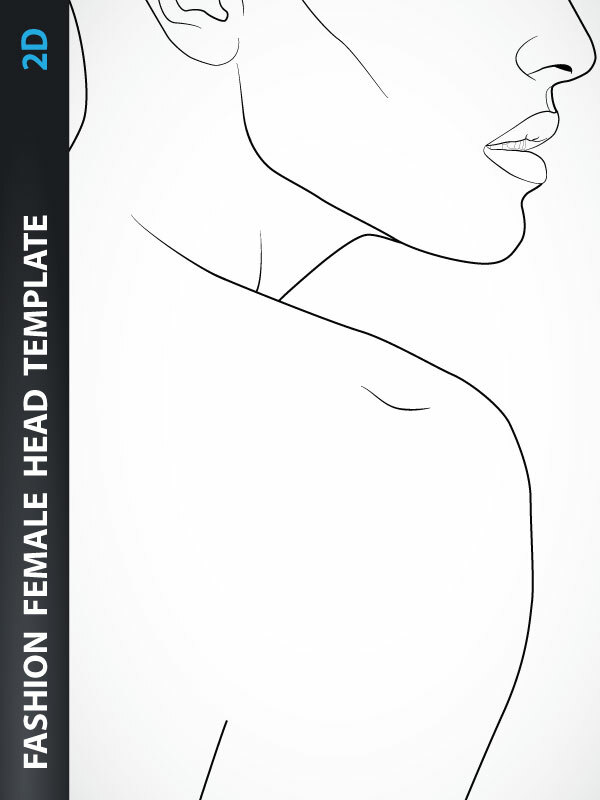 Fashion Head Template for Fashion Hairstyle, Jewelry, Accessories (like hats, sunglasses, scarves,...) or Make-up Design, includes fashion female head template from the side back view with all head details like eyes, nose, mouth, neck, ears,... 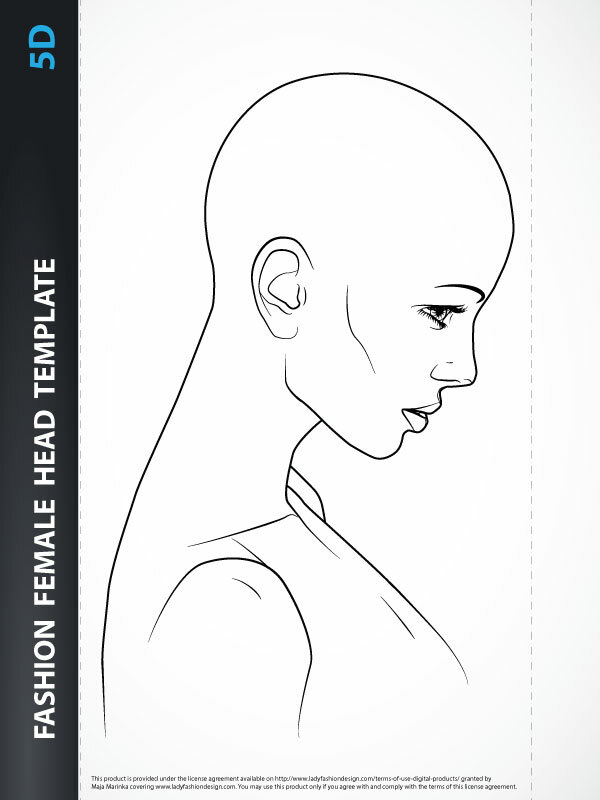 Fashion Head Template is created based on Close-Up Photographic Shot. Print-Ready. 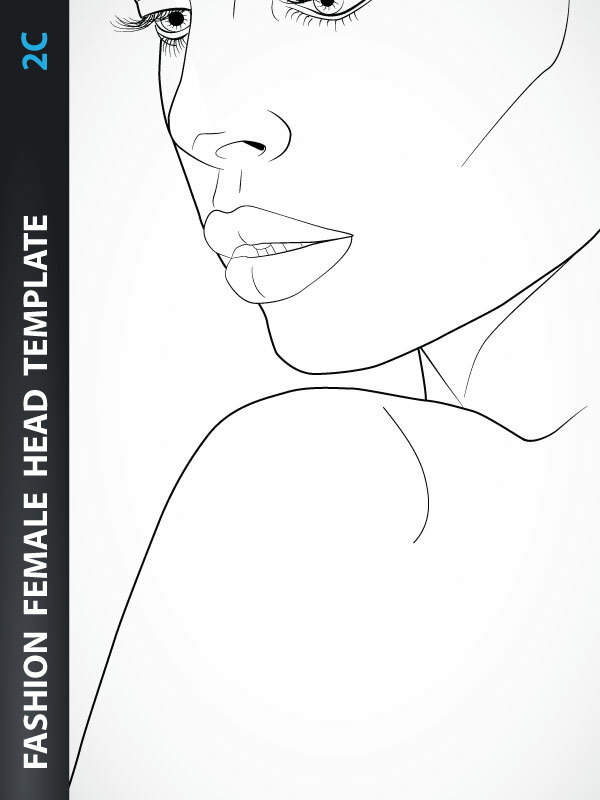 Fashion Head Template for Fashion Hairstyle, Jewelry, Accessories (like hats, sunglasses, scarves,...) or Make-up Design, includes fashion female head template from the three-quarter back view with all head details like eyes, nose, mouth, neck, ears,... 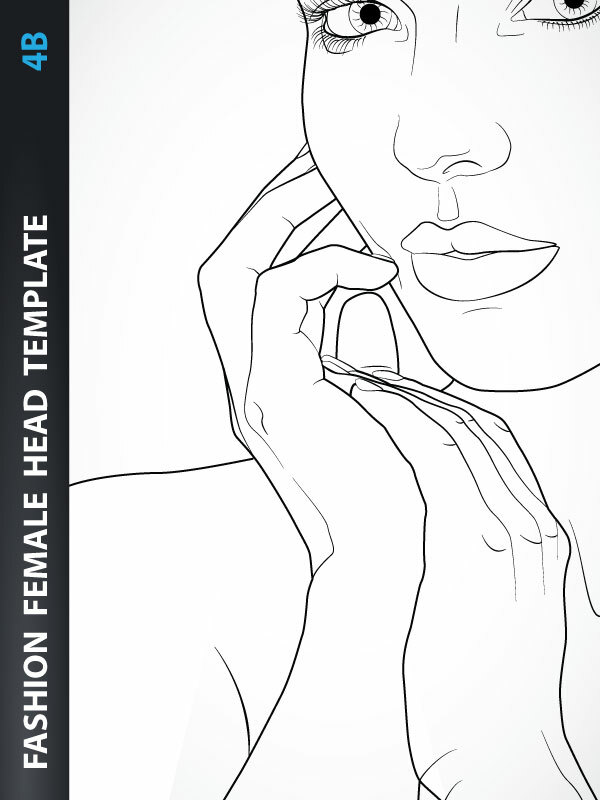 Fashion Head Template is created based on Close-Up Photographic Shot. Print-Ready. 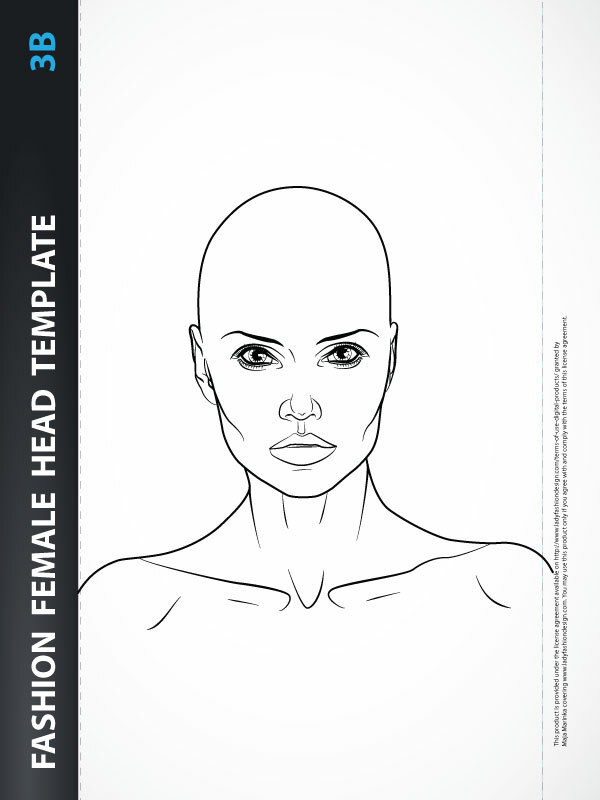 Fashion Head Template for Fashion Hairstyle, Jewelry, Accessories (like hats, sunglasses, scarves,...) or Make-up Design, includes fashion female head template from the three-quarter front view with all head details like eyes, nose, mouth, neck, ears,... 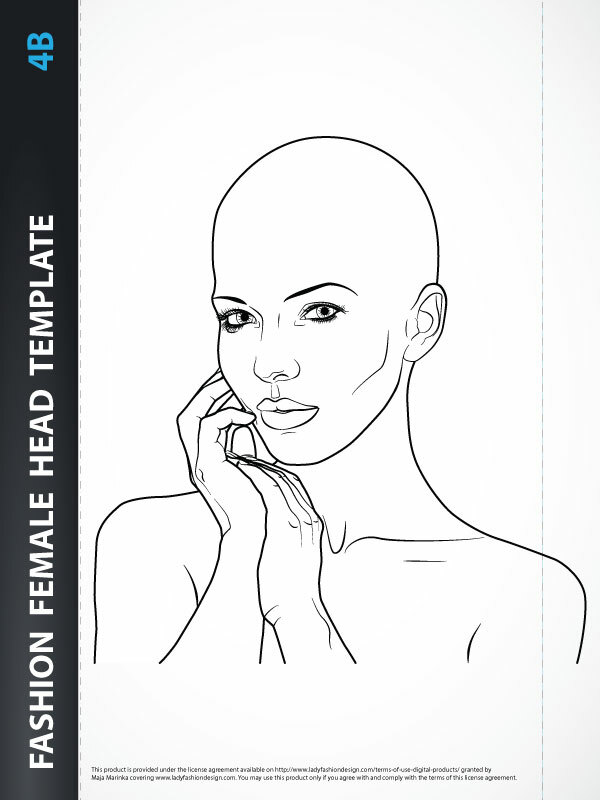 Fashion Head Template is created based on Close-Up Photographic Shot. Print-Ready. 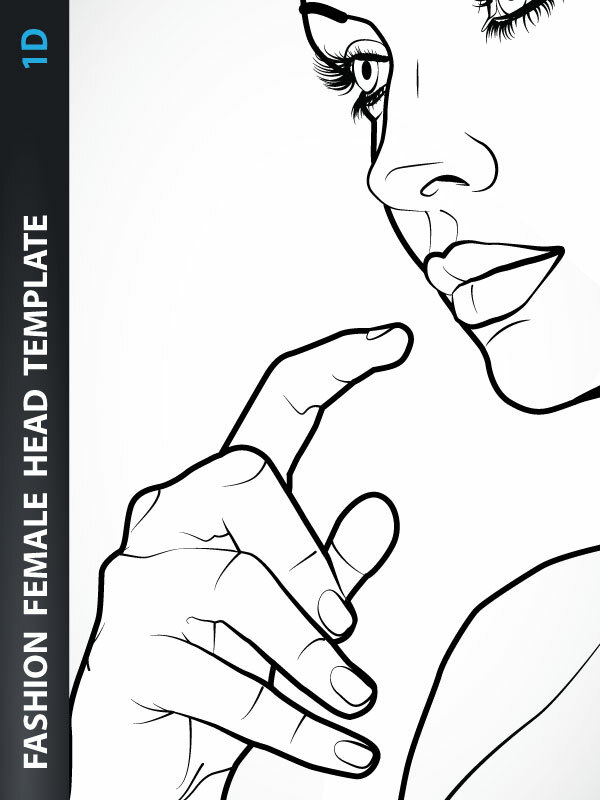 Female Fashion Head Template for Fashion Hairstyle, Jewelry, Accessories (like hats, sunglasses, scarves,...) or Make-up Design, includes fashion female head template from the side view with all head details like eyes, nose, mouth, neck, ears,... 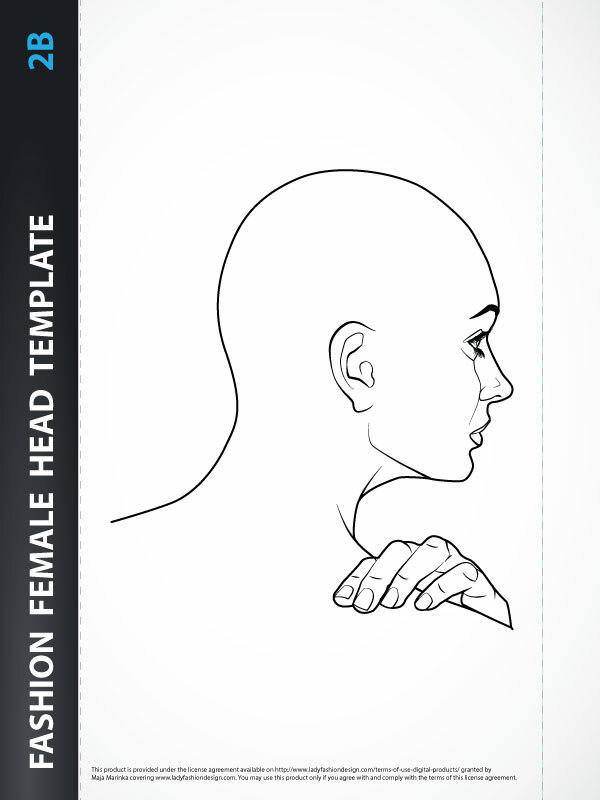 Fashion Female Head Template is created based on Close-Up Photographic Shot. Print-Ready. 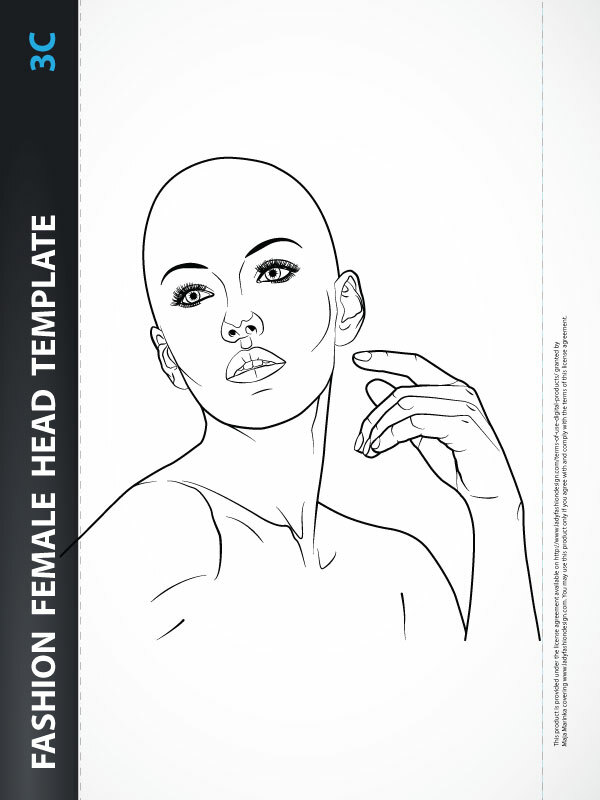 Female Fashion Head Template for Fashion Hairstyle, Jewelry, Accessories (like hats, sunglasses, scarves,...) or Make-up Design, includes female fashion head template from the back with all head details like eyes, nose, mouth, neck, ears,... 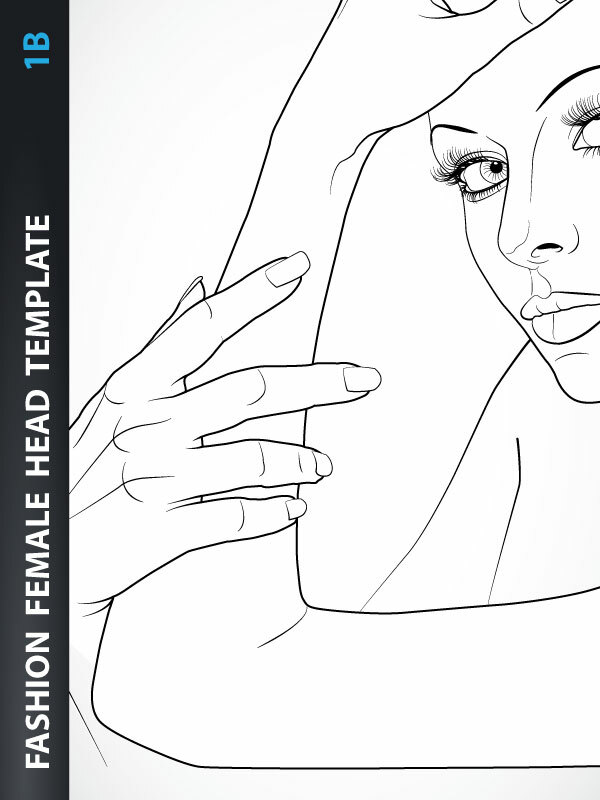 Female Fashion Head Template is created based on Close-Up Photographic Shot. Print-Ready. 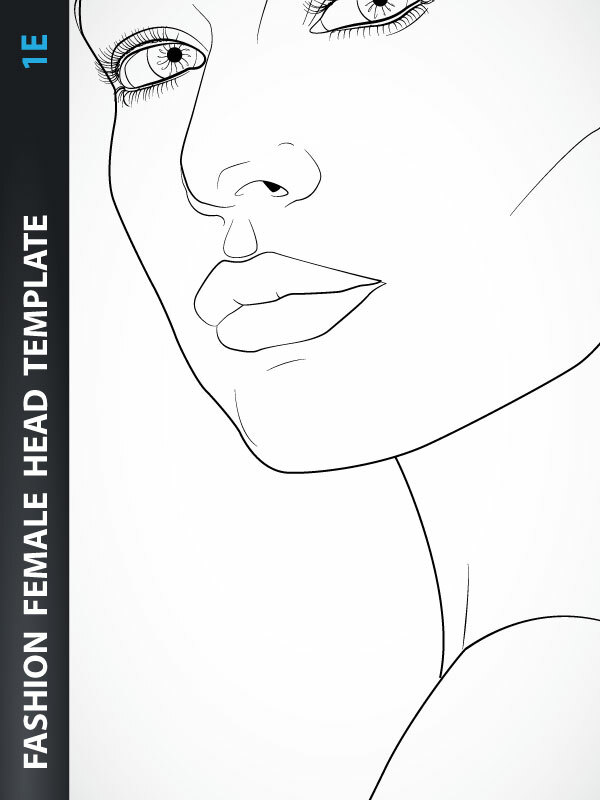 Fashion Female Head Template for Fashion Hairstyle, Jewelry, Accessories (like hats, sunglasses, scarves,...) or Make-up Design, includes fashion female head template from the the three-quarter view with all head details like eyes, nose, mouth, neck, ears,... 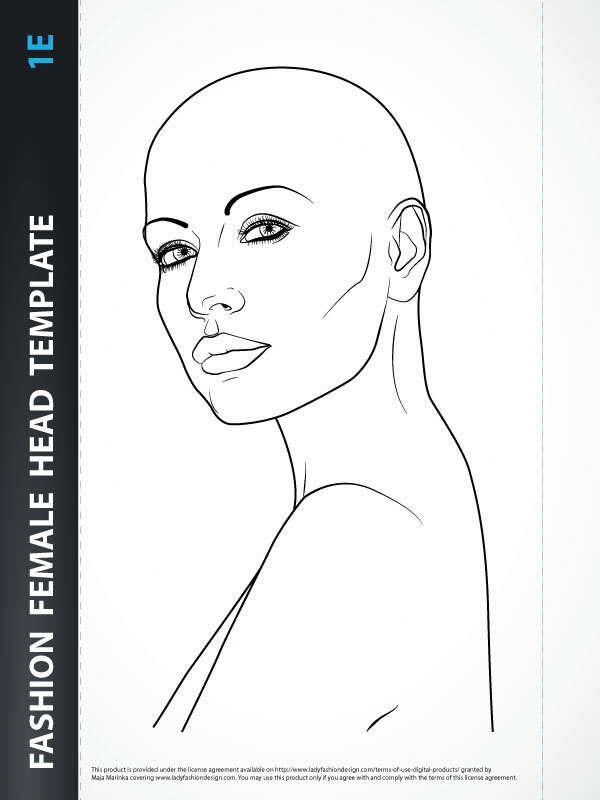 Fashion Female Head Template is created based on Close-Up Photographic Shot. Print-Ready. 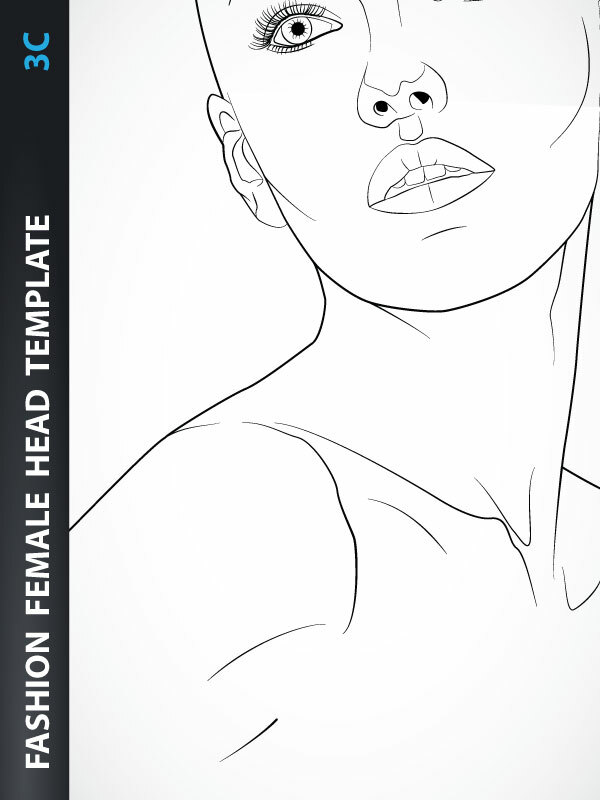 Fashion Female Head Template for Fashion Hairstyle, Jewelry, Accessories (like hats, sunglasses, scarves,...) or Make-up Design, includes fashion female head template from the the three-quarter view with all head details like eyes, nose, mouth, neck, ears,... 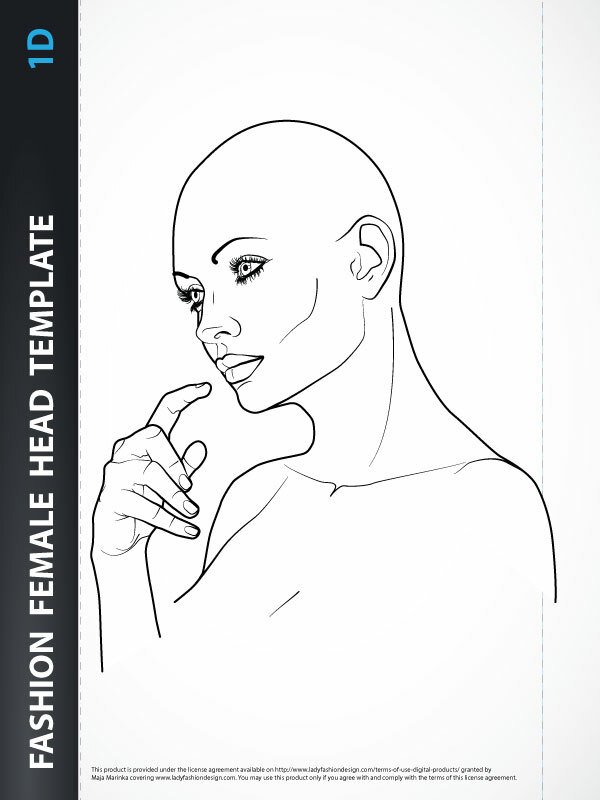 Fashion Female Head Template is created based on Close-Up Photographic Shot. Print-Ready. 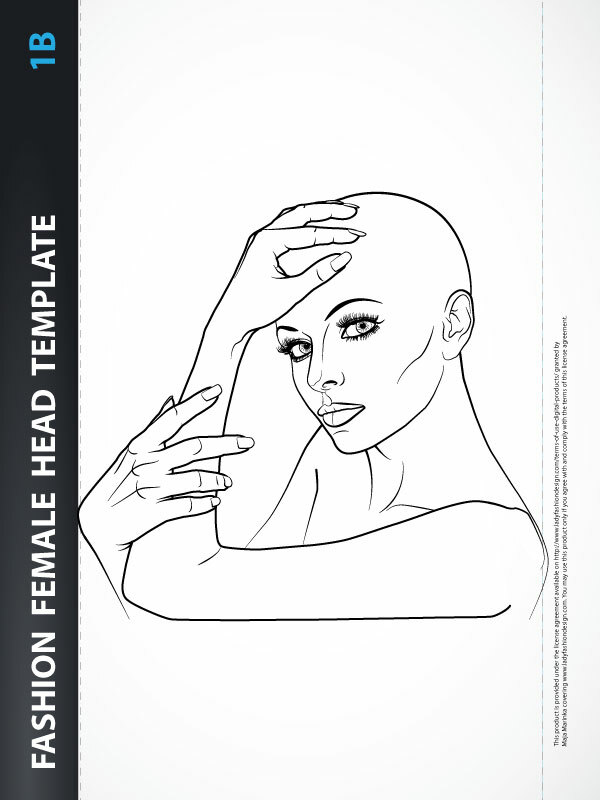 Fashion Female Head Template Illustration Design your collections using this template to quickly outline your fashion female head and add your fashion jewelry, make-up, accessories (like hats, sunglasses, scarves,...) or hair styles. 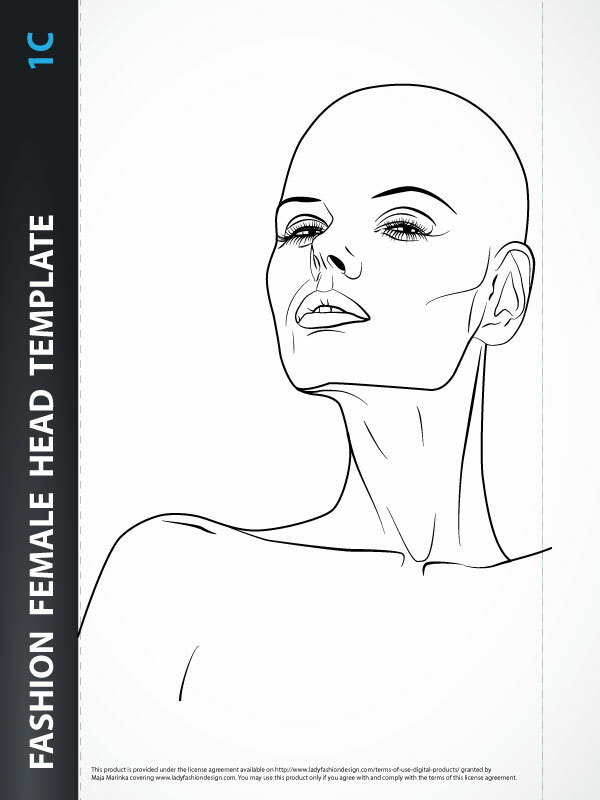 Your designs will be proportionate and relative to a real female head. 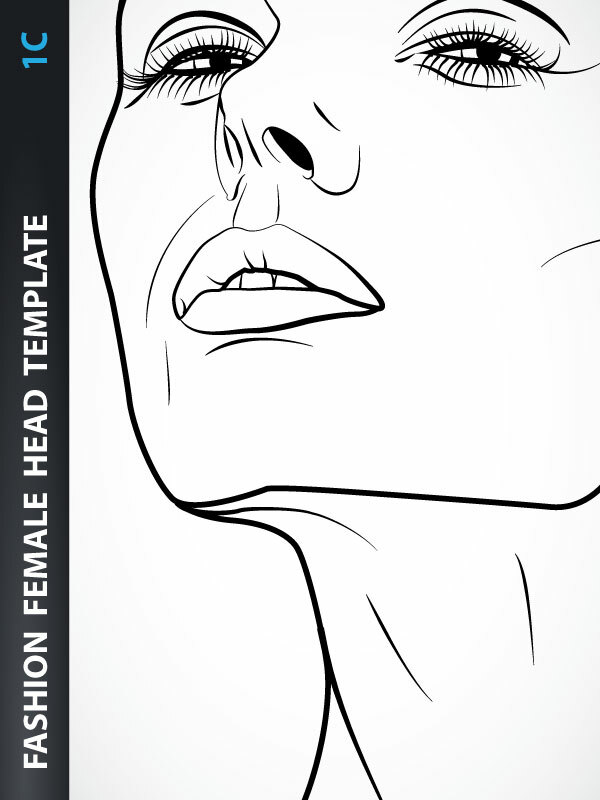 Fashion Female Head Template is based on “Close-Up Photographic Shot”. You can print the image and use it for your template.